Tropic Oasis boasts 2 beautiful Pools, 1 heated with disabled access and the other a Hot Spa surrounded by lush tropical gardens. To also highlight our pools we feature waterfalls and lagoons complete with canoes. "The perfect place to relax, unwind." "There is a quiet and beautiful ocean bay where the ocean meets the forest..."
Korora Bay and Smugglers on the Beach... a holiday hideaway! Smugglers On The Beach offers 16 self contained resort style apartments. Nestled amongst tropical gardens, all apartments have their own private patio or balcony overlooking the pool, floodlit gardens or magical Pacific Ocean. The large apartments provide plenty of space for a relaxed and comfortable holiday, with attention to the minor details that help to make your holiday in Coffs Harbour a special one. Apartments all have their own fully equip kitchens, are airconditioned and have 48 inch LCD televisions. Smugglers offers a quiet relaxing atmosphere and is fantastic for families. Borrow one of our boogie boards or cricket gear, play half court tennis or relax by the pool. At sunset, be tempted by one of the many specialty restaurants a few minutes drive away, order in or cook your own BBQ dinner and enjoy your meal poolside. Korora Beach is a beautiful quiet area only minutes away from shopping centres, cafes, restaurants and local tourist attractions. Whatever option takes your fancy, at Smugglers, you will surely relax! Lost or misplaced vouchers will incur a small replacement fee. For bookings please call 02 6583 1855 . Your Oceanroad voucher number must be quoted at time of booking and surrendered to resort on arrival. Located in a fantastic position, just minutes from the beach and town centre of Port Macquarie, Ki-ea Apartments is the perfect Port Macquarie accommodation for a short break or holiday. Choose from a range of contemporary and spacious 1, 2, and 3 bedroom self contained apartments. Ki-ea is very family friendly and offers a free Beach Kids Loyalty Program for the children. The versatility and diversity of the Ki-ea apartments allow us to offer tailored luxury Port Macquarie accommodation for couples, groups and both small and large families. Each apartment and the general facilities are so well equipped and designed that your accommodation will feel as though it has been designed with you in mind! Our 4.5 star apartments offer modern open plan living, fully equipped kitchen and laundry, balconies, air-conditioning, broadband and much more, while our general facilities include a heated pool and spa, sauna, BBQ area, theatre room and complimentary parking. your $89 Oceanroad deposit voucher. Upgrade to a 2 bedroom spa and water view apartment for $50 per night surcharge* (Subject to availability and room configuration) Upgrade to roof deck for $60 per night.Upgrade to roof deck with Ocean view $80 per night (subject to availability and room configuration) Children under 3 free when using existing bedding or own portable cot. Exclusion periods all school holidays, public holidays, long weekends and special events as deemed special by the property. All offers subject to availability and room allotment*. 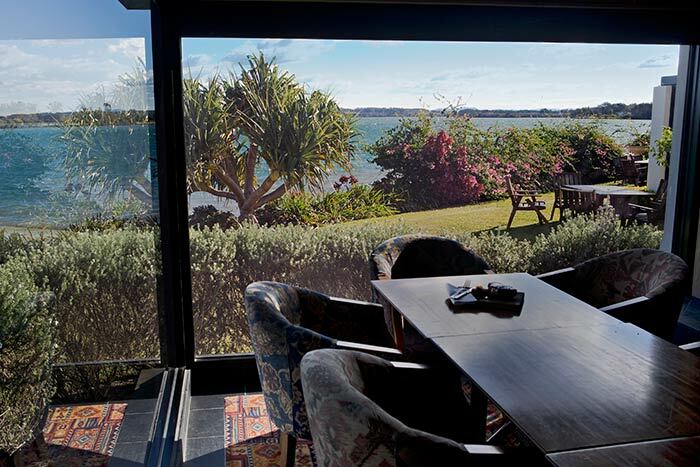 Mantra Quayside, is situated in the beautiful coastal town of Port Macquarie. Mantra Quayside Apartments offers quality accommodation just minutes walk from the shopping and dining hub of Horton Street. Featuring 41 self-contained Studios and One and Two Bedroom Apartments, Mantra Quayside provides everything you need for a relaxed and stress-free North Coast holiday. Perfect for business people, a couples getaway or family holiday, Mantra Quayside Port Macquarie offers spacious, self-contained apartments all featuring a kitchenette or full kitchen facilities, air-conditioning, and balcony or patio, with some offering views over the Back Channel anchorage on Hastings River. MANTRA QUAYSIDE IS A NON SMOKING PROPERTY. Our relaxed and comfortable Port Macquarie resort features a rooftop HEATED pool and BBQ area with views over the waterfront, a fully equipped gym, sauna, spa and first-class guest services include complimentary parking, FREE WiFi and Austar. ROOMS ARE NOT SEVICED DAILY, IF YOU STAY 3 NIGHTS OR MORE YOU ARE ENTITLED TO A SERVICE unless arranged by contacting the resort direct. accommodation in Forster doesn't have! Our Forster apartments are rated at AAA certified 4 1/2 -star self catering level, thanks to amenities that go the extra mile, beautiful quality furnishings and views that will really put your world into perspective. ocean air available in Forster. Ocean activities: Like deep sea fishing, boating, whale watching, surfing and scuba diving. Gourmet delights: Wine tastings, lake cruises and fresh-caught seafood ... mmmmmm! Sun And Fun: Golf, fun parks, and plenty of local boutique stores are just around the corner from your Forster holiday resort accommodation. We're only a 50 minute flight or 3 hours drive from Sydney ... but our apartments are a world away from the big city in both feel and value. Don't miss out on the experience of this luxury property in a pristine location. upgrade 1, 2, or 3 bedroom deluxe apartment located on level 5 and up for only $50 per night payable by guest on arrival. Stay 3 consecutive Nights - for 2 people for $550. Stay 3 consecutive Nights - for 2 people for $650. Only $89 secures this offer (deductible from total). Reservations: 02 6588 4000 quoting your Oceanroad voucher number. Offer Valid till March 2020 . Excludes, All school holidays ,long weekends, public holidays and special events as deemed special by the property. Reservations: 02 6583 9544quoting your Oceanroad voucher number. Includes June/July holidays (Surcharge may apply), (Excluding all other public and school holidays). Oxley Cove Apartments are situated just 300m from both Town Beach and Oxley Beach. After a quick ocean dip, head into the CBD for a coffee where you’ll find two shopping centres, restaurants and cafes all within walking distance from your apartment. You will also find a centrally located arts, conference and entertainment centre in town with a visitor information facility for planning your Port Macquarie holiday – action packed or lax – whatever your style, you’ll find it here. If you want to escape the city for a holiday, Port Macquarie is your next vacation destination. You can look forward to a good night’s sleep away from busy main roads and railway lines. Driving from Brisbane will take around 7 hours, from Newcastle 2.5 and Sydney 4.5. Daily air-conditioned Countrylink rail services, QANTAS flights and Virgin Blue flights arrive in Port Macquarie several times daily, so there’s no need for an early morning start. 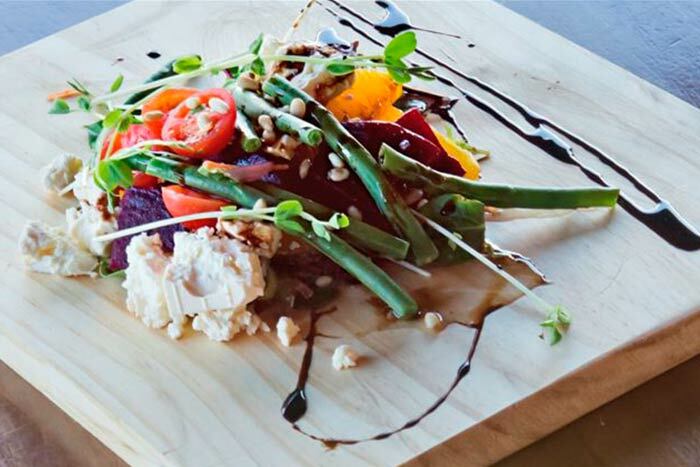 Surrounded by the stunning Manning River, Harrigans offers a truly memorable dining experience. Harrigans features both fresh local produce and those dishes with that famous Irish charm, like our Beef and Guinness Pie. Includes complimentary drinks voucher on arrival and free WIFI. Only $89 deposit secures voucher (deductible from total). VALID 12 MONTHS FROM DATE OF SALE. Phone 02 6556 0555 or Email reservations@harrigansharrington.com.au, quoting your voucher number. Oceanroad Voucher must be handed to reception on arrival. When you are ready to book your holiday please call Sevan Apartments on 02 6555 0300 quoting your Oceanroad Holidays voucher number. 35% of your tariff is required upon booking with the remaining balance due on arrival. Bookings please call 02 6583 8033 quoting your Oceanroad Voucher number. This deal only available with the pruchase of an $89 deposit voucher(deductible from total). Offer excludes Xmas School Holidays, Easter Break, public holidays, long weekends and special events as deemed special by the property. 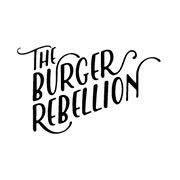 Available July School Holidays at no surcharge and the 2nd Week of April school holidays and October School holidays at a $100 per voucher surcharge. . Some Conditions may apply. Offer subject to availability. Indulge in a relaxing holiday at South Pacific Apartments. 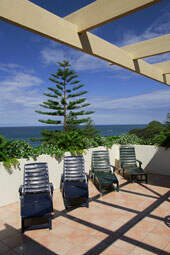 Relax, we have the perfect accommodation in Port Macquarie waiting for you at South Pacific. 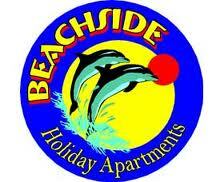 Choose from 41 modern 1, 2 and 3 bedroom apartments, many with Ocean or Pool Views. Please be advised we have no lift access. We do have a room available that has disabled access. Please be sure to mention when you are booking if you require it. We are proudly a Non-Smoking resort. Our one bedroom apartments are spacious and modern and contain one or two bathrooms. Located in the heart of Port Macquarie, Port Pacific Resort is the perfect base for your next holiday, short stay or corporate function. Perfectly located in the town centre, Port Pacific Resort is just a short stroll to surrounding beaches, parks, restaurants, shopping centres and the glasshouse arts and entertainment centre. 79 spacious, self contained, air conditioned apartments, all with large balconies overlooking the beach, river or town centre. Port Pacific Resort complements the relaxing environment of this holiday destination. Port Pacific Resort is a total non smoking Resort, including balconies and outdoor areas within the perimeter of the Resort. Port Pacific has installed a 90kw solor panel system on the roof top and an electric car charging facility to help the environment. Enjoy a complimentary bottle of sparkling wine on arrival. Call Oceanroad Holidays to buy your discount voucher or purchase online. Up to 2 children under the age of 12 can stay for free using existing bedding, or 2 adults @$25 per person per night utilizing sofa bed. Max 4 people per apartment. Offer excludes All School, public holidays, long weekends and special events as deemed special by the property. Some Conditions may apply. Offer subject to availability. Rooms are on an unserviced basis. Serenity Diamond Beach Resort is an architecturally inspired, absolute beachfront resort, just 15 minutes from Forster on the NSW Mid-North Coast. While offering a range of accommodation options, Serenity Diamond Beach also offers an award winning restaurant – 3 Nippers, two resort pools (one beachfront), championship sized tennis court, gym, Endota spa, kids club and onsite activities coordinator (Operates during NSW school holidays & Long weekends). While being part of the Manning Valley, Diamond Beach enjoys the neighbouring region of the Great Lakes, allowing our guests to nestle themselves in amongst unspoilt waterways, pristine beaches, national parks, and ancient rainforests. No matter what the season, Serenity Diamond Beach is the perfect base for exploring our regional paradise. These rates above only available with the purchase of an $89 deposit voucher which has already been deducted from the listed Ramada Diamond Beach prices. Oceanroad voucher must be surrendered to resort on arrival and voucher number quoted upon booking to obtain these great discounted rates. Exclusions and Block out dates: 16th December to 28th January each calendar year, Easter and October Long Weekends. All offers subject to availability and room allotment, please book early to avoid disappointment. Additional $100 deposit is payable upon booking with the remaining balance due on arrival. ** School Holiday rates apply in April & September/October school Holidays. NOTE: Please note that the above rates already have the $89 deposit voucher deducted from the price. Our Flynns Beach Port Macquarie apartments are set in a tropical paradise, surrounded by scenic gardens, with two luxurious pools, private BBQ cabanas and native wildlife, this is the ideal place to relax. •Electric BBQs FREE to use! Offer excludes full summer, Spring and Autumn School Holidays, public holidays, long weekends and special events as deemed special by the property. Available July school holidays with $100 per voucher surcharge. Some Conditions may apply. Rooms are on an unserviced basis. Offer subject to availability. For bookings please call 02 6583 3338 Your Oceanroad voucher number must be quoted at time of booking and surrendered to resort on arrival.